Want to backup iPhone 7 to flash drive but do not know how? This guide will tell you the easiest way to transfer iPhone 7 contents to Mac/PC computer as backup. This professional iOS data manager can help you backup iPhone 7/7 Plus to flash drive easily. Download it now and follow the steps to make it. Regularly backing up iPhone is a good habit, it can be a lifesaver if your new iPhone 7/7 Plus runs into any problem. You can backup iPhone 7 with iTunes on computer. However, the backup files can take up considerable storage space and you cannot view the backup contents. So you may think about backing up iPhone 7 to a USB flash drive, and is it possible? The answer is definitely Yes. Here in this iMobie guide, we will show you how to make it. Let’s get it on. Backup iPhone 7/7 Plus to USB flash drive easily, including contacts, messages, songs, photos, videos, ringtones and more. 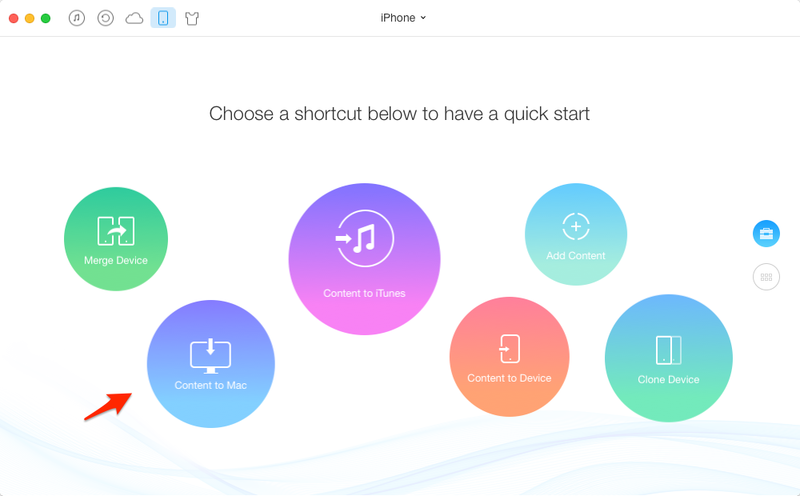 Choose to backup all iPhone 7 contents at once or preview and select the contents you need. Access and view the backup files anytime you want. How about give it a try? Click here to download AnyTrans and follow the steps below to backup your iPhone 7 or iPhone 7 Plus to USB flash drive. Step 1. 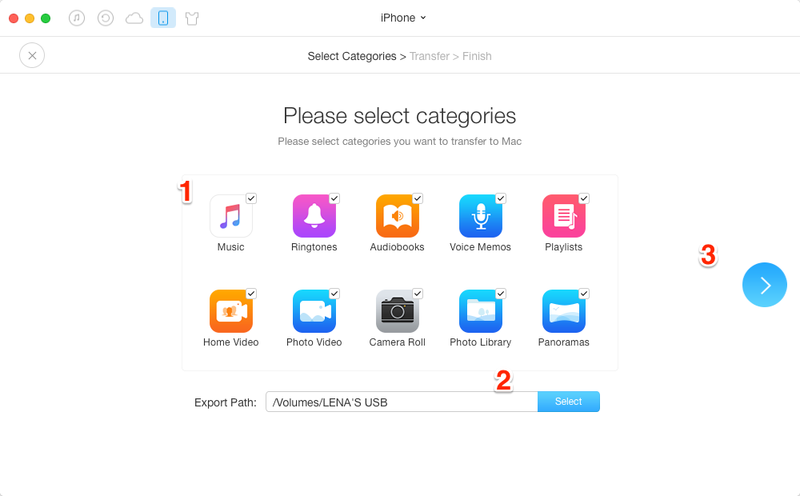 Open AnyTrans > Plug in your iPhone 7 > Click on Content to Mac/PC shortcut button. Step 2. Select the files you want to backup > Click Select to set your flash drive as destination > Click the Right Arrow to start. 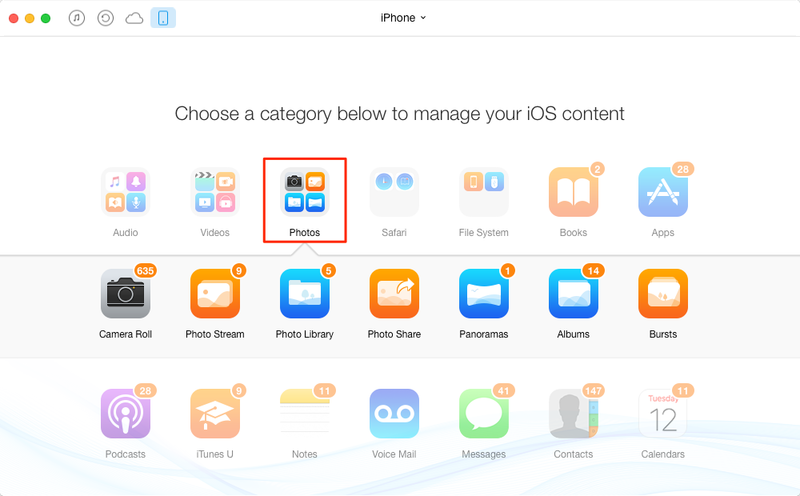 Or you can preview and select the contents you want to backup, here take photos for example. Step 1. Scroll down on the homepage > Click on Photos > Select one category. Step 2. 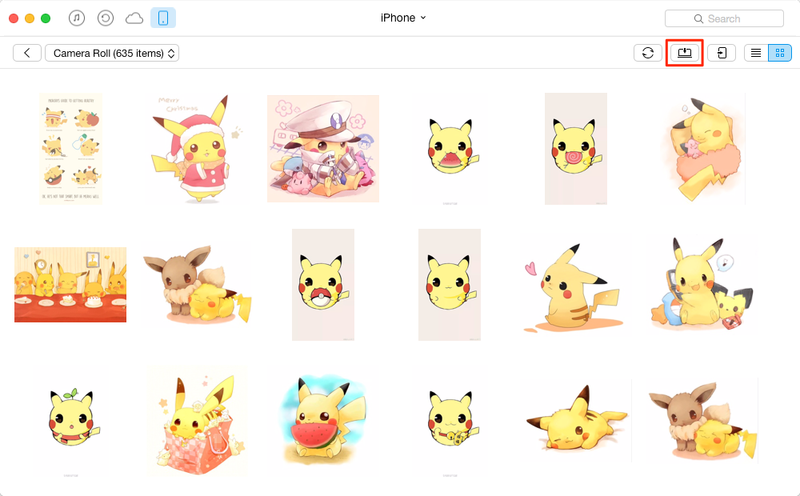 Select the photos you want to backup > Click on To Computer button. As you can see, AnyTrans can help you backup iPhone 7 to flash drive without effort. So why not give it a try? You can contact us via email if you meet any problem, we will help you out as soon as possible.